A baby girl and a toddler were both killed in a fast-moving house fire on the South Side. The girls are identified as 7-month-old Ziya Grace and 2-year-old Jamaii Grace. Firefighters were able to rescue a 6-year-old boy. He was taken to the hospital in critical condition. The fire started in the basement of a two-story building in the 6600 block of S. Champlain in West Woodlawn around 10:30 Saturday night. Two women, ages 48 and 25, were able to make it out of the basement on their own. They were both taken to the hospital. A firefighter was also hospitalized. He is expected to be okay. Neighbors ran outside when they heard screaming. Some tried to run inside to rescue the children, but the fire was spreading too quickly. “By the time I got to the corner, two of the guys had already ran in there. They said the flames were so thick there was nothing they could do,” said Taneisha Grayson, neighbor. Firefighters found the baby and toddler dead in the basement. “A lot of credit has to go to these fire companies. 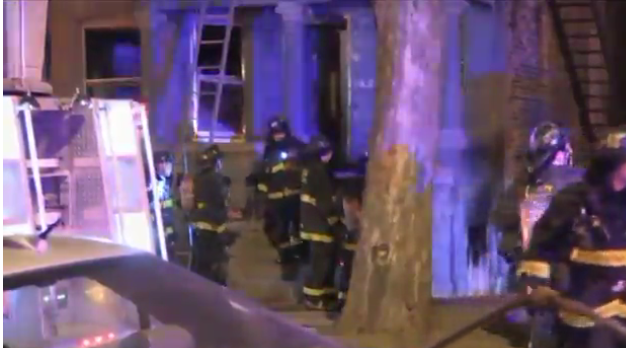 They went in there under very heavy fire conditions,” said Chicago Fire Dept. Deputy District Chief Mike Carbone. It took firefighters about 20 minutes to put the fire out.